The Working Group for Women and Land Ownership (WGWLO), a network of 37 NGOs and community based organizations in Gujarat, has regretted that, despite tall talks of women’s rights, it found in a study that 23.2% daughters and 17.1% widows gave away their “title deeds” on property when they were alive, and 20% daughters’ names do not figure in the land records. 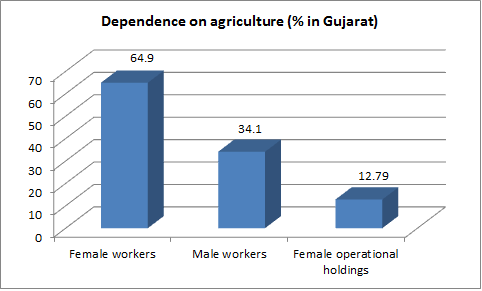 Calling it a clear case of gender bias which needs to be addressed, the WGWLO, in a just-prepared note, quotes from the Census 2011 figures on cultivators and agricultural labourers of Gujarat to say that 64.9% of female workers depend on agriculture, as against just 35.1% male workers. Further, attempts should be made for “automatically include names of married woman in the land title of husband with clear title, as joint partners so that they do not have to face problem after death of the husband as also their identity is established as a ‘farmer’”, the note says.